Here is an earlier photo of three tornadoes over Lake Pontchartrain via Facebook. 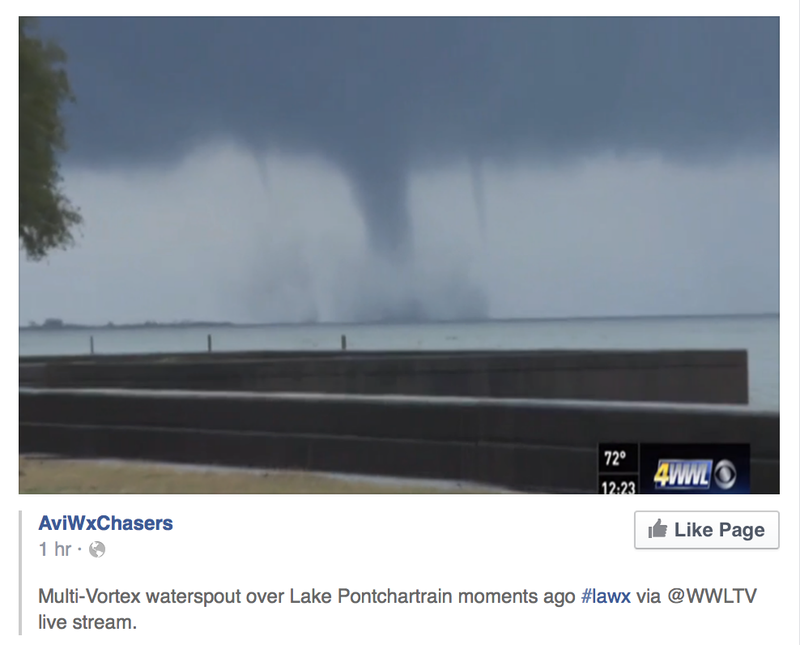 Several tornadoes -- at least one with damage -- have already occurred. 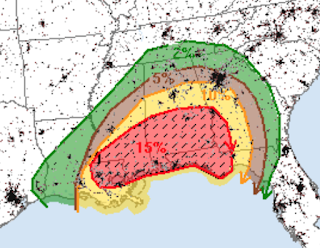 Here is the latest tornado probability outlook. Please keep in mind that brown (5%) is the significant threshold. If you live in that area or the 10% area (yellow) you should monitor the weather. 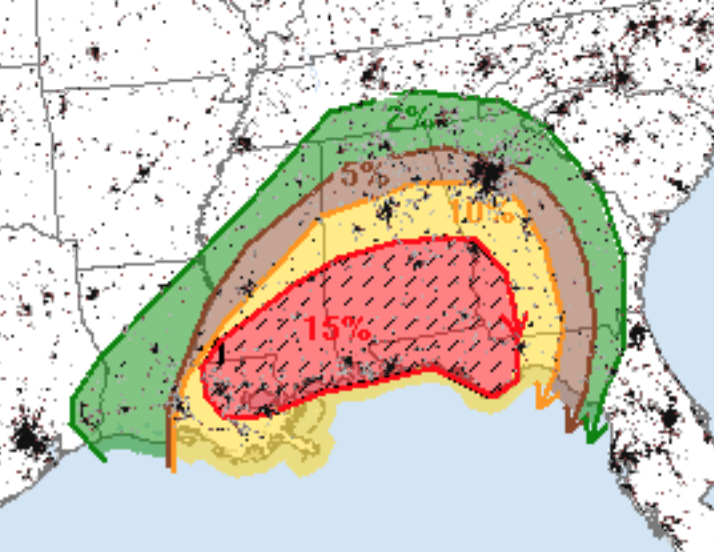 If you live in the hatched 15%, hatched area (where violent tornadoes are forecast) I strongly recommend keep the children nearby and making provisions for the infirm now, before a tornado warning is issued. A reminder: We no longer live-blog storms but I will update the situation at least once more this evening.